The musician covers the magazine’s January issue. St. Vincent decided to ‘take the piss’ out of Guitar World’s ‘sexiest past’ when she covered the magazine’s January issue. The musician appears on the cover holding a guitar and wearing a dress which features a bikini print body, as a nod to the magazine’s past when they used to publish a buyer’s guide featuring scantily clad models posing with musical equipment. “I did a quick Google search of women on the cover, and all I really saw was girls in bikinis holding guitars like they’ve never held a guitar before,” St. Vincent, real name Annie Clark, told the magazine. “I started thinking about that and just wanted to make my own absurdist comment on it. I couldn’t really let it slide without poking a bit of fun and taking the piss a little!”. 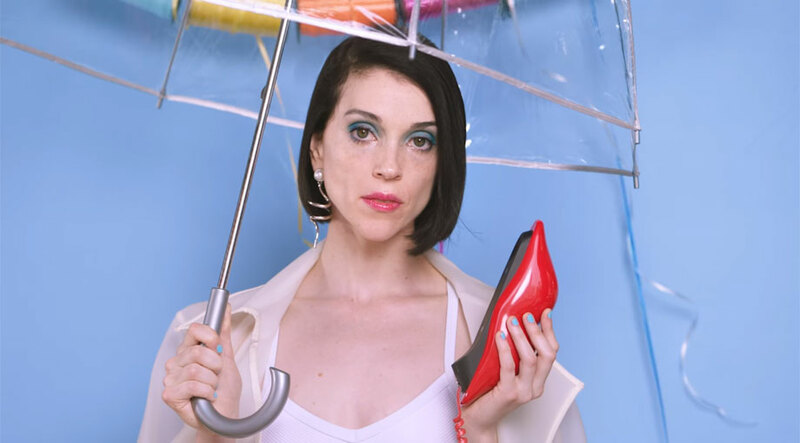 St. Vincent also opened up about her new album, which is scheduled for release next spring. “I think it’ll be the deepest, boldest work I’ve ever done,” she said.